Our range of products include bean coffee vending machine, cappuccino coffee machine, filter coffee maker, automatic coffee maker, espresso coffee maker machine and bean filter coffee vending machine. 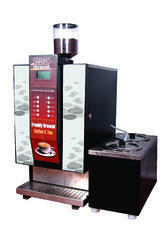 To cater to the varied requirements of the customers, we offer a premium quality range of Bean 2 Cup Coffee Machines. This is a two cup coffee vending machine, which is manufactured with premium quality raw material to ensure its long functional life. 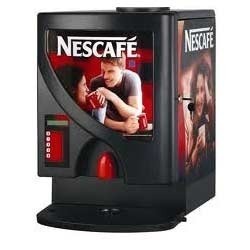 Moreover, we supply offered coffee vending machines in adherence with the international quality norms. 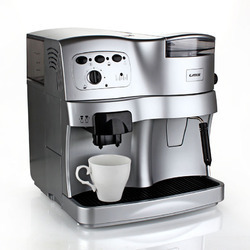 Our offered Cappuccino Coffee Machine is highly admired amid valuable patrons. These products are broadly acclaimed for their long functional life and user-friendly nature. Offered range is developed making use of finest quality components and advanced technology. In addition to this, one can get these products from us in several technical specifications at friendly pocket prices. 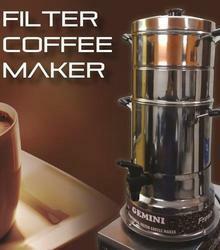 Backed by rich industry expertise, we are offering our clients a comprehensive range of Gemini Filter Coffee Maker. Our vendors strictly follow all the quality parameters set industry to design and manufacture. This range is available in various sizes, designs, capacities and custom-build models to meet the variegated requirements of our clients. 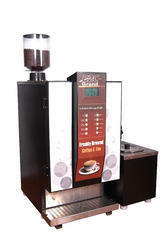 We have specialized in distributing of Coffee Maker, which is widely demanded at food outlets. The efficiently intended product range is at par with international standards and meets the variety of needs of the clients. Our company providing qualitative range of Espresso Coffee Makers. Our range has gained appreciation from all around for their automaticfunctioning, reliability and many other features. Our range can be availed in different specifications. To cater to the varied requirements of the customers, we offer a premium quality range of Bean 2 Cup Coffee Vending Machines. This is a two cup coffee vending machine, which is manufactured with premium quality raw material to ensure its long functional life. 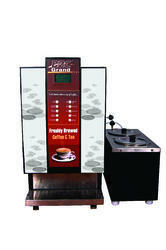 Moreover, we supply offered coffee vending machines in adherence with the international quality norms.